When John Lockwood Kipling,father of Rudyard Kipling and principal of the Mayo School of Arts died they discovered in his collection a strange collection of `rustic paintings` of Gods and Goddesses and thereabouts.His family members were at a loss not knowing what to do with them. They made a gift of it to the Victoria and Albert Museum in London, which is currently known as the Kipling collection.It was left to Sir W G Archer, Keeper of the V&A`s Indian Section between 1949 and 1959, who acquired a considerable amount of Pats, directly from the artists families, to interpret their importance and place in Art History. However the credit of making Kalighat Pats both popular and collectors item, goes to R P Gupta , known as Satul Babu. 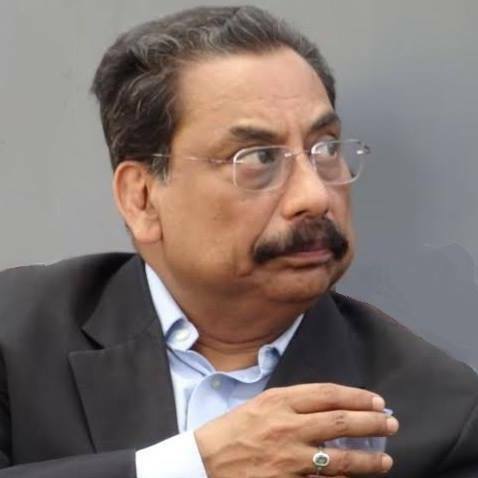 Gupta relentlessly wrote on the Kalighat Pats in the Anandabazar Patrika and it`s sister publication Desh thus explaining it`s place in Calcutta Society. Latter the trend was picked up by Mulukraj Anand and there was a series of write up in Marg magazine. The art form gets its name from Kolkata`s famous Kali temple, where migrant practitioners of patachitra (scroll painting) congregated to make and sell paintings to tourists and pilgrims. Gradually, Kalighat art emerged as a distinct style, influencing Calcutta School artists such as Jamini Roy and even European artists like Picasso and Fernand Léger, who was initially trained as an architect but was greatly influenced by the Kalighat Pat, with its bold sweeping brush-strokes. The patuas, folk-painters of Bengal, traditionally painted tales from Hindu myths on scrolls (called pat), which they then used as a visual aid to tell—or rather, sing—a story to their audiences. In this, they resembled folk artists from other regions—the Bhopas of Rajasthan who tell tales of folk deities like Pabuji and Devnarayan with a painted scroll called the phad, or the Bhats who narrate myths with kaavads, painted folding shrines made for them by the carpenter caste of Suthars. The Pardhan Gonds, too, were bards; they became artists in the 20th century. The patuas who moved to Calcutta in the early 19th century were rural artisans tempted by the prospect of a growing urban market. Settling in the vicinity of the city’s famed Kali temple, they began by changing over from long canvas scrolls (which were expensive and meant for storytelling) to paper, which was cheaply available in the newly industrialising urban milieu, and suitable for smaller paintings that could be made in large numbers and sold as souvenirs to pilgrims. The Kalighat school of painting that increasingly became hugely popular was garnered by the setting up of the first paper mill in 1809. As factory made watercolours and cheap paper thrived into the market, the style of the professional Bengali artists or patuas became well pronounced with inclusion of diverse themes from classical religious myths to a more secular social imagery and satirical themes even bordering on tabloids involving accurate reportage of contemporary scandals. The school encompasses the period from the mid-1800s when patuas (artists) mostly painted religious and mythological figures to later decades in which paintings depicted and satirised social life.Many of the themes and methods of pictorial representation found in historical scroll paintings from nineteenth-century Bengal can also be seen in Kalighat paintings of a similar period, particularly the religious themes.The paintings are characterised by prominent, sharply drawn figures. There`s little by way of background imagery.When the patuas at Kalighat were establishing their art form in the nineteenth century, the overriding factor determining their output was market demand. There was a need for them to mass-produce their paintings for a growing pilgrim and tourist market around the Kali temple. So they eliminated all non-essential details, including background detail and extra characters, paring down their style to bold, simple compositions that could be completed quickly. While religious paintings were the bestsellers, patuas also recorded their observations of Bengali society. They often poked fun at the Bengali middle-class imitation of British fashions. "The most popular subject was the depiction of the Bengali `babu`- a foppish male dandy, often shown wearing a Bengali dhoti with western-style jacket, buckled shoes and sporting the popular `Albert` hairstyle. The hairstyle refers to the wavy crop favoured by Prince Albert, Queen Victoria`s husband. One of the significant examples of observational Kalighat art is the series on the Tarakeshwar affair of 1873. A scandal erupted after Elokeshi, the young wife of Nobin Chandra, a Bengali government servant, was found having an affair with the priest of the Tarakeshwar temple. Nobin Chandra decapitated Elokeshi and surrendered to the police. In a gripping trial, both Nobin Chandra and the priest were convicted. 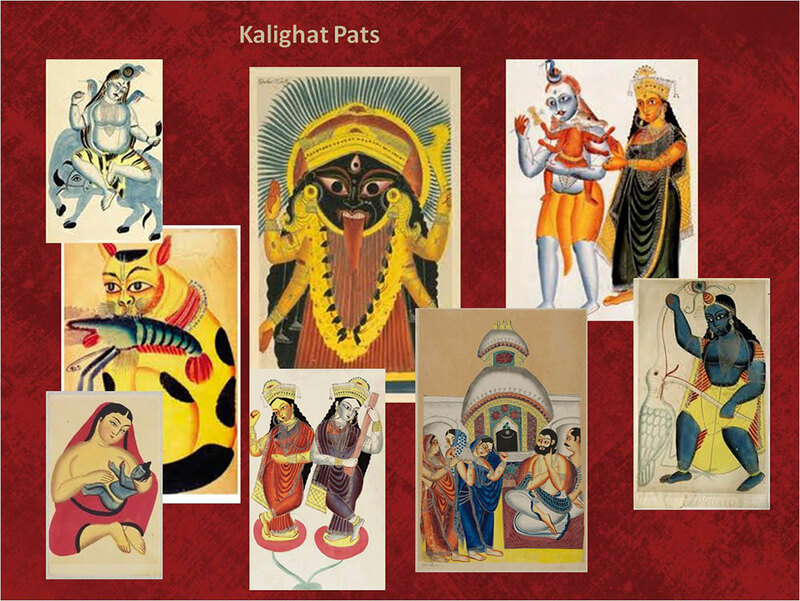 The Kalighat painters belonged to traditional artisanal communities and served a local clientele. The patuas, usually, sold their art in and around the bustling temple area and also at various markets and fairs. The paintings by the patuas on British Calcutta and its effect on the Bengali middle-class was a major shift in theme from earlier mythological paintings and these were further mechanically replicated and hand-tinted by the Bat-tala wood engravers for cheap circulation in the bazaar market. As new printing techniques like lithography, chromolithography and oleography were developed in Calcutta, the Kalighat painting went into rapid extinction.